SKU: 4320. 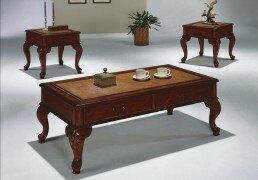 Categories: Crown Mark, Occasional Tables. Tag: occasional. 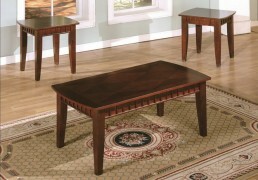 This 3 Piece Occasional Set includes a Coffee Table and 2 End Tables. Sofa Table is available as an option. With rich finishes and Old World details, the ornate beauty of the Madison Occasional Collection by Crown Mark captures the true sophistication of finely crafted furniture. From the scrolling reeded details to the rich dark brown finish, this accent table collection creates an atmosphere of Old World design. The tables feature nailhead accents, clear beveled glass, and shelves underneath. 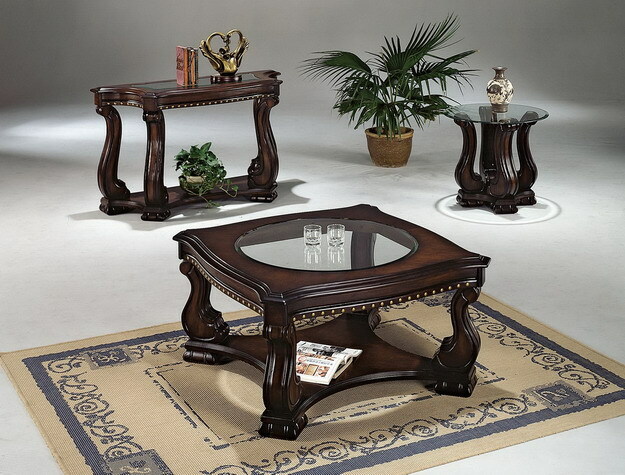 With a rich brown finish flowing smoothly over the intricate carving, this collection easily transforms any living area with an ornate Old World beauty.